We are making Wrapping Jackets again for select clients ONLY! Please do NOT order unless you have contacted me and I have responded to your inquiry. DO NOT SEND ME ANY PAYMENTS via PAYPAL until I send you an invoice. See below for prices and details of how to measure. Lancie lounging in his turquoise hologram lycra sparkle wrapping jacket. 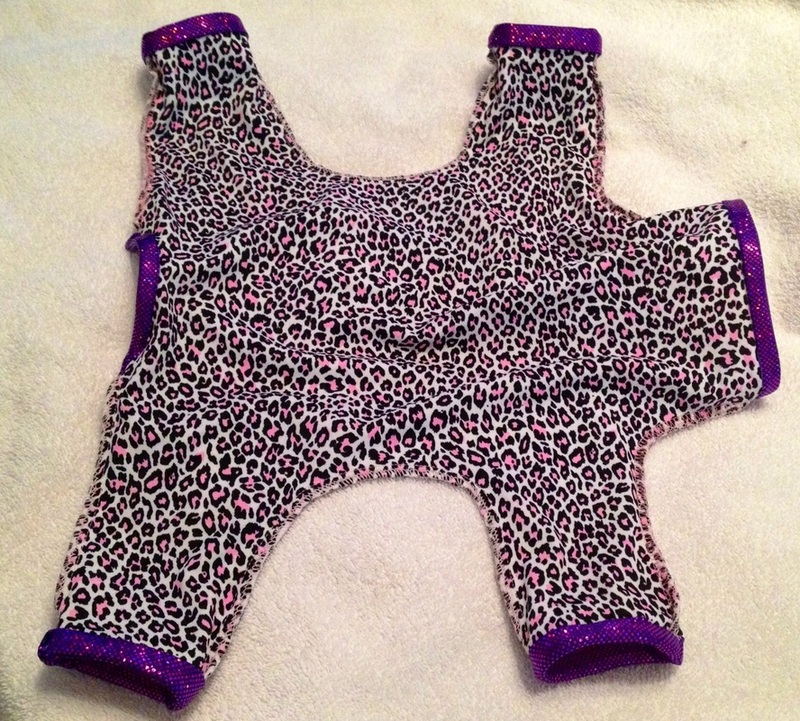 Custom Purple Hologram Lycra with hand stitched Pink/black Cheetah trim $35. New Zealand Champion "Yetholme Fantasia at Jenarlie" (Aysha) modeling her new Wrapping Jacket. 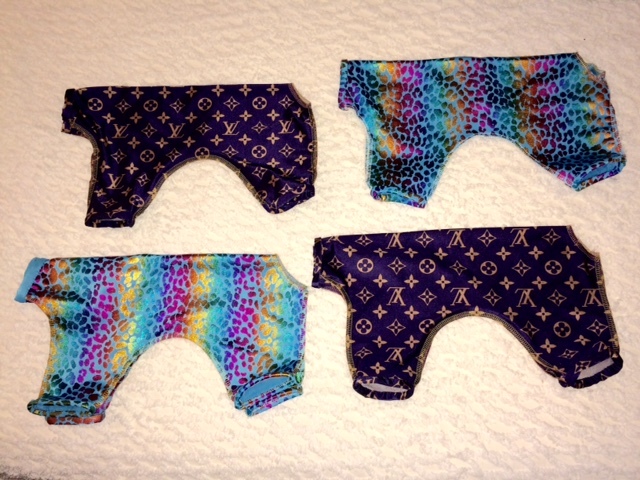 LV Fabric is on BACK ORDER, and will only be ordered if paid for in advance. 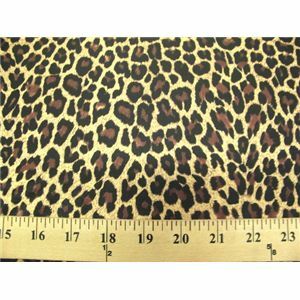 I can only get a limited supply of this fabric, so please be advised. 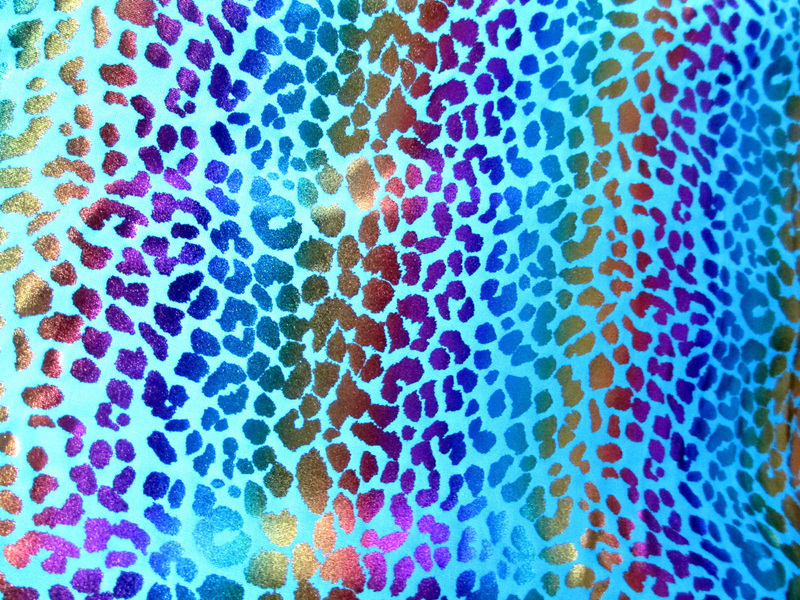 Taking pre-orders for Jackets in Leopard print Lycra so order early to avoid dissapointment. How to measure... Using a tape measure take the length of the dogs back along the spine from the base of the neck down to the base of the tail. 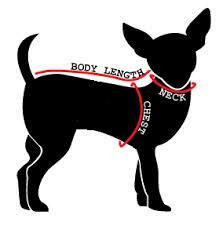 Now take the girth measurment all around the dogs chest, and lastly measure all around the neck. Basic plain lycra wrapping jackets. All seams are on the outside to keep coat and wraps from catching in threads. Smooth, stretch fabrics that protect coat and wraps. We use only infant snap-tape for fasteners....NO velcro. Satin jackets are french seamed and cost $45. We also make hand-stitched recycled Pure Silk hems around the neck and leg cuffs on both lycra and satin for $10 more. You can also order below on Paypal. Just click on the drop down menu below to order your choice design jacket, send payment, include a note with size, fabric/color needed, and you will receive your jacket within 10 business days. Or email us at the address below.